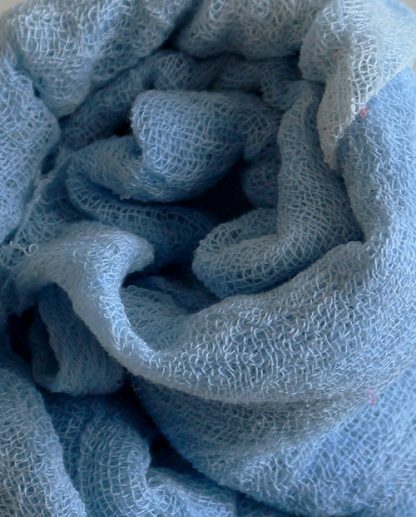 Hand dyed pure cotton scrim cheesecloth fabric in light blue. Add some gorgeous colour to your projects. All our fabrics are hand dyed in our small kitchen studio. Each fabric is individually hand dyed and we only use the best fabrics. 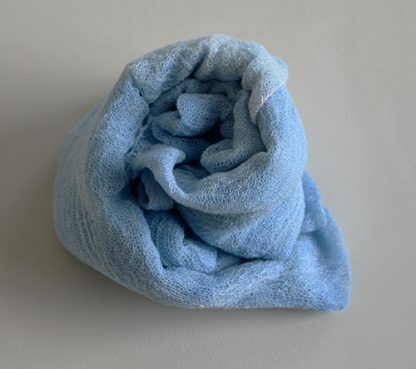 Although we take every care, please wash again before using as we cannot guarantee colour fastness. Procion dyes are used. 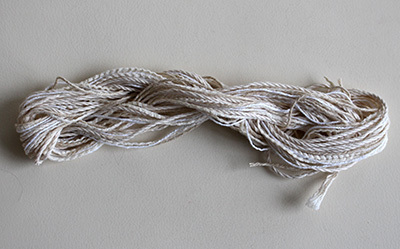 This cotton scrim is 100% pure cotton. 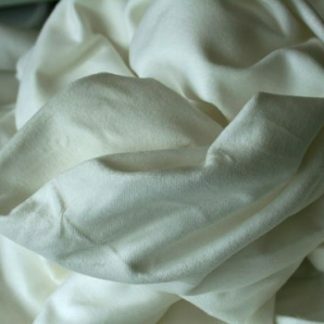 It is a lightweight and very versatile fabric used in textiles, embroidery and mixed media. The threads easily pull apart in this openweave fabric. A variety of sizes and colours are available, so take a look at the other products and if you do not see what you want please enquire. We do not colour dye to order, however we can produce more of any colour in our colour ranges. Fabrics are not solid plain dyed but are variegated giving an interesting colour variation. Size: 53 x 68 cm (21 x 27″) approximately.